Werner Otto Packull: historian of 16th century Hutterite Brethren and South German/Austrian Anabaptists, was born 14 July 1941 in Arklitten, Kreis Gerdauen in East Prussia to Otto Eduard Packull (29 July 1906-1943?) and Leokadia (Lotte) Seemann (4 December 1905-3 September 1994). Werner was the youngest child in a family of two sons and one daughter. In August 1964 he married Karin Christel Fiebig, daughter of Lili Rolfs and Erich Fiebig. They had two children, Christine and Reinhold. Werner Packull died 27 April 2018. Otto Packull was a laborer on the estate of Graf von und zu Egglofstein, and the family lived in poor economic circumstances. The family was devoutly pietistic in the Lutheran tradition. Otto Packull and his two brothers were drafted into the German army and killed during World War II; Otto Packull was declared missing in action as early as 1943. In January 1945 Lotte Packull, her three children, and Werner’s grandparents fled the advance of the Russian army. After a difficult escape the family arrived in Denmark where they spent four years in a refugee camp. In 1949 the family relocated to the Black Forest to the village of Rheinfelden, not far from Freiburg. Here Werner Packull attended elementary school, followed by training in a vocational school to become a millwright and locksmith. Werner Packull began teaching part time at Renison College at the University of Waterloo in 1972, becoming a full-time assistant professor in 1974 when his dissertation was completed. In 1983 he transferred to Conrad Grebel College, also at the University of Waterloo, where he remained until his retirement as a full professor in August 2003. Werner Packull’s scholarship in Anabaptist history and thought was wide-ranging and productive. He was a co-author (with James Stayer and Klaus Deppermann) of the seminal 1975 article, “From Monogenesis to Polygenesis: the historical discussion of Anabaptist origins” in Mennonite Quarterly Review. His research interests in 16th century Anabaptism included the Baltic missionary work of Melchior Hoffman, the writings of Pilgram Marpeck, the work of David Joris, and later groundbreaking work on the Anabaptists in Moravia and the beginnings of the Hutterite Brethren. Werner was not afraid to correct his own earlier work, and he vigorously engaged other Anabaptist scholars of his era. He wrote or edited seven books, contributed chapters to 13 books, published more than 40 refereed papers, and participated regularly in academic conferences. He placed great emphasis on scholarly integrity; he aimed for accuracy that told the story complete with blemishes. The faith of Werner Packull’s childhood remained important to him and informed his work and personal family life. His academic interest in the Hutterites was partly due to his personal interest in their effort to integrate faith and life. He loved spending time on his farm near an Old Order Amish community, a kind of connection to his early teenage years in the Black Forest. 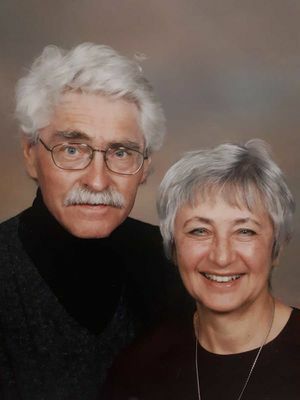 In his last years at Conrad Grebel College Werner Packull struggled against the early onset of Alzheimer’s, a disease that also claimed his mother. With the assistance of Karin, his unpublished work on Peter Riedemann, was completed. Werner Packull was remembered as an inspiring teacher, careful scholar, and good friend. “Grebel Mourns Loss of Historian Werner Packull.” Conrad Grebel University College. 30 April 2018. Web. 29 August 2018. https://uwaterloo.ca/grebel/news/grebel-mourns-loss-historian-werner-packull. Snyder, C. Arnold. Commoners and Community: Essays in Honour of Werner O. Packull. Kitchener, Ont. : Pandora Press, 2002. See especially Edmund Pries, “Werner Packull: Life as a Journey of Redemption,”pp. 17-22, and Edmund Pries, “Werner O. Packull Publications,” ppl 301-319. Stayer, James M. “In Memoriam: Werner O. Packull (1941-2018).” Mennonite Quarterly Review 92, no. 3 (July 2018): 325-326. Stayer, James M. “Packull, Werner O.” MennLex V. 21 June 2018. Web. 29 August 2018. http://www.mennlex.de/doku.php?id=art:packull_werner_o. “Werner O. Packull, July 14, 1941-April 27, 2018.” Funeral card at time of memorial service, 4 May 2018. Packull, Werner O. Peter Riedemann: shaper of the Hutterite tradition. Kitchener, Ont. : Pandora Press, 2007. Packull, Werner O., with Geoffrey Dipple, eds. New Orientations in Radical Reformation Studies: Festschrift in Honour of James M. Stayer. St. Andrews Studies in Reformation History, 1999. Packull, Werner O. Hutterite Beginnings: Communitarian Experiments during the Reformation. Baltimore, Md. : Johns Hopkins University Press, 1995. Published in German as Die Hutterer in Tirol : frühes Täufertum in der Schweiz, Tirol und Mähren. Translated by Astrid von Schlachta. Innsbruck: Universitätsverlag Wagner, 2000. Klaassen, Walter, Werner O. Packull and John D. Rempel, trans., Later Writings by Pilgram Marpeck and his Circle. Kitchener, Ont. : Pandora Press, 1999. Packull, Werner O. Rereading Anabaptist Beginnings: the 1990 J. J. Thiessen Lectures. Winnipeg, Man. : CMBC Publications, 1991. Packull, Werner O. and James M. Stayer, eds. The Anabaptists and Thomas Müntzer. Dubuque, Iowa: Kendall/Hunt Publishing, 1980. Packull, Werner O. Mysticism and the Early South German Austrian Anabaptist Movement 1515-1531. Scottdale, Pa.: Herald Press, 1977. "Preliminary Report on Pilgram Marpeck's Sponsorship of Anabaptist Flugschriften. Mennonite Quarterly Review 75 (2001): 75-88. "The Great Peasants' War (1525) and Anabaptists." Translated into Japanese. Asian Cultural Studies. Special Issue No. 9 (2001): 57-72. "'We Are Born to Work Like the Birds to Fly'. The Anabaptist-¬Hutterite Ideal Woman." Mennonite Quarterly Review 73 (1999): 75-86. "The Origins of Peter Riedemann's 'Account of Our Faith'." The Sixteenth Century Journal, 30 (1999): 61-69. "An Early Hutterite Account of Anabaptist Founders." Mennonite Quarterly Review 72 (1998): 53-68. "Enkele aspecten van de hermeneutiek van Menno Simons." Doopsgezinde Bijdragen 22 (1996): 143-57. "Melhiors Hofmanis Livonijas Reformacija: sektu veidosanas." "Melhiora Hofmana pirmas divas vestules." "Livonijas Reforacijas tevs Silvestrs Tegetmeijers: vina Dienasgramatas fragments." Translation into Latvian by Ilze Druvina in CELS Theologisks un Kulturvesturisks Rakstu Krajums 48 (1996): 21-84. "Menno Simons und die Auslegung der Heiligen Schrift." Mennonitische Geschichtsblätter 53 (1996): 44-61. "Some Reflections on Menno Simons' and Martin Luther's Hermeneutics." Consensus: A Canadian Lutheran Journal of Theology 22 (1996): 33-48. "Zwietracht in der 'Gemeinde Gottes': Die Spaltungen von 1531 und 1533." Mennonitische Geschichtsblätter 61 (1994): 7-23. Research Note —"Pilgram Marpeck: Uncovering of the Babylonian Whore and other Anonymous Anabaptist Tracts." Mennonite Quarterly Review 67 (1993): 351-55. "The Beginning of Anabaptism in Southern Tyrol." The Sixteenth Century Journal 21 (1991): 717-26. "Clemens Adler's 'Judgment Concerning the Sword': A Swiss Connection to Silesian Anabaptism?" Festschrift for Walter Klaassen. Conrad Grebel Review 9 (1991): 243-50. Research Note —"A Seventeenth Century Hutterite Codex: A Description." Canadian Journal of History 65 (1991): 373-78. Co-author with Bruno Fast, "An Index of Peter Riedemann's Epistles." Mennonite Quarterly Review 65 (1991): 340-51. "Between Paradigms: Anabaptist Studies at the Crossroads." Conrad Grebel Review 8 (1990): 1-22. "The Trial and Martyrdom of the Hutterite Hans Pürchner." Fides et Historia 22 (1990): 18-24. "Melchior Hoffman's First Two Letters." Mennonite Quarterly Review 64 (1990) 146-59. "Thomas Müntzer und das Hutsche Täufertum." Mennonitische Geschichtsblätter 46 (1989): 30-42. Research Note — Balthasar Hubmaier's Gift to John Eck, July 18, 1516." Mennonite Quarterly Review 63 (1989): 428-32. "Peter Riedemann's Brief and Hans Pürchner." Der Schlern, Monatzeitschrift für Südtiroler Landeskunde 63, no. 11 (1989): 662-70. Co-author with Bruno Fast, "Peter Riedemann's Last Epistle." Journal of Mennonite Studies 7 (1989): 183-89. "An Inventory of the Hans Widemann Collection of Bavarian Anabaptist Documents." Mennonite Quarterly Review 63 (1989): 297-305. "Peter Tasch: From Melchiorite to Bankrupt Wine Merchant." Mennonite Quarterly Review 62 (1988): 276-95. "Anna Jansz of Rotterdam. A Historical Evaluation of an Early Anabaptist Heroine." Archive for Reformation History 78 (1987): 147-73. "Peter Tasch en de Melchiorieten in Hesse." Doopsgezinde Bijdragen 12/13 (1986-1987): 107-38. "The Sign of Thau. The Changing Conception of the Seal of God's Elect in Early Anabaptist Thought." Mennonite Quarterly Review 61 (1987): 363-74. "In Search of the 'Common Man' in Early German Anabaptist Ideology." The Sixteenth Century Journal 17 (1986): 51-67. "Sylvester Tegetmeier, Father of the Livonian Reformation: A Fragment of His Diary." Journal of Baltic Studies 16 (1986): 343-56. "The Origins of Swiss Anabaptism in the Context of the Reformation of the Common Man." Journal of Mennonite Studies 3 (1985): 36-59. "The Image of the 'Common Man' in the Early Pamphlets of the Reformation (1520-1525)." Historical Reflections 12 (1985): 253-77. "Melchior Hoffman's Experience in the Livonian Reformation: The Dynamics of Sect Formation." Mennonite Quarterly Review 59 (1985): 130-46. "Melchior Hoffman—A Recanted Anabaptist in Schwäbisch Hall?" Mennonite Quarterly Review 57 (1983): 83-111. "'A Hutterite Book of Medieval Origin Revisited. An Examination of the Hutterite Commentaries on the Book of Revelation and their Anabaptist Origin." Mennonite Quarterly Review 56 (1982): 147-68. "Luther and Medieval Mysticism in the Context of the Recent Historiography." Renaissance and Reformation 6 (1982): 79-93. "A Response to History and Theology: A Major Problem of Anabaptist Research Today." Mennonite Quarterly Review 53 (1979): 208-11. "Some Reflections on the State of Anabaptist History: The Demise of a Normative Vision." Studies in Religion 8 (1979): 313-23. "Thomas Müntzer Between Marxist-Christian Diatribe and Dialogue." Historical Reflections 4 (1977): 67-90. "From Monogenesis to Polygenesis: The Historical Discussion of Anabaptist Origins." a joint project in cooperation with James Stayer, Queen's University, and Klaus Deppermann, University of Freiburg. Mennonite Quarterly Review 49 (1975): 83-121. Research Note —"Gottfried Seebass on Hans Hut: A Discussion." Mennonite Quarterly Review 49 (1975): 57-67. "Denck's Alleged Baptism by Hubmaier. Its Significance for the Origin of South-German-Austrian Anabaptism." Mennonite Quarterly Review 47 (1973): 327-38. Steiner, Sam. "Packull, Werner Otto (1941-2018)." Global Anabaptist Mennonite Encyclopedia Online. September 2018. Web. 20 Apr 2019. http://gameo.org/index.php?title=Packull,_Werner_Otto_(1941-2018)&oldid=162157. Steiner, Sam. (September 2018). Packull, Werner Otto (1941-2018). Global Anabaptist Mennonite Encyclopedia Online. Retrieved 20 April 2019, from http://gameo.org/index.php?title=Packull,_Werner_Otto_(1941-2018)&oldid=162157. This page was last modified on 22 September 2018, at 10:39.